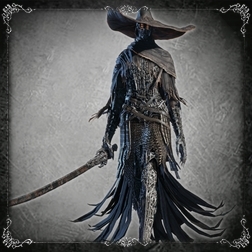 Purchase a full load of Poison Knives and consider using a weapon that inflicts additional arcane damage, such as the Burial Blade or the Blade of Mercy. The Rosmarinus can be helpful if you have access to it, especially when augmented with Bone Marrow Ash; bring a firearm that only consumes one bullet at a time, such as the Hunter Pistol or Hunter Blunderbuss, and remember to stock up on ammunition. If you've already obtained the Empty Phantasm Shell, bring it along and use it to augment purely physical weapons with additional arcane damage. If you've acquired any Blood Gems that add poison effects to your weapons, equipping them before heading out will help end the fight more quickly once you've run out of Poison Knives. 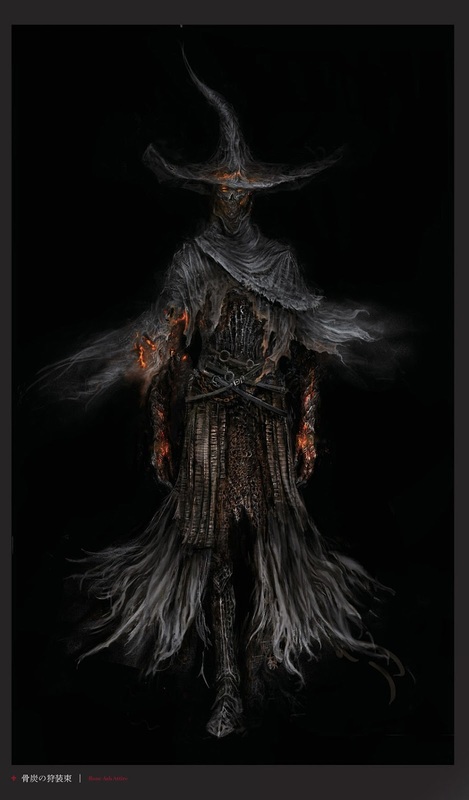 The Keeper of the Old Lords fights very much like a hunter NPC, but is capable of using several fire attacks not accessible to players. During Phase 1 it will walk slowly toward you at long range and begin using its mid-range fire attacks when you're close enough; it will also occasionally take a swing at you with its sword, but tends to prefer its Flash Fire at short range. The Keeper will often respond to attacks during this phase with a quick horizontal slash followed by a backstep, even if the damage was inflicted by a ranged weapon, and will make relatively little effort to avoid Molotovs and Throwing Knives. At the beginning of Phase 2 it will cover its sword in flames and begin using its Fire Slash, usually only one or two swings at a time from mid range, but up to five if it manages to trap you in a close-range combo. It'll also pursue you more aggressively and evade your ranged attacks more frequently during this phase, and the bursts of flame from its Fire Slashes will severely limit your opportunities to interrupt its attacks. Interrupts are highly effective during the first phase, but become impractical during the second due to the high risk of trading hits in the process. To minimize the risk of taking damage unnecessarily, reduce the Keeper's health to just over 70% and hit it with four Poison Knives before it transitions to the second phase, then move in and attack a couple of times while it powers up its sword with fire. Immediately retreat and stay away from it until the poison wears off, then lure it into one of the narrow spaces behind the pillars and hit it with four more Poison Knives. 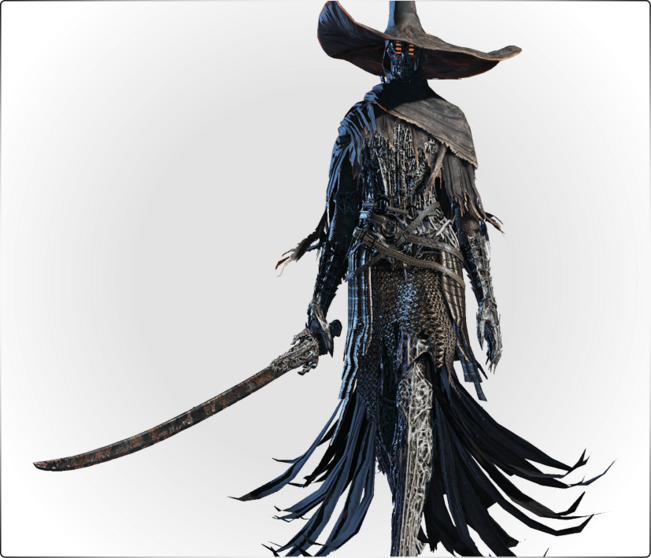 If you have a Pistol or similarly timed firing weapon, you can repeatedly fire on Keeper from mid range and it will eventually try to backstep attack, which will result in it being parried. A quick dash in will grant you the Visceral Attack. Be sure to watch your bullet count, though! The boss room forms a short-armed cross with four pillars surrounding the center in ordinal positions. The narrow corners along the perimeter are dangerous places for close-quarters combat, but also provide the advantage of preventing the boss from being able to evade thrown weapons such as Poison Knives; this is particularly important during Phase 2 if you're incorporating poison into your battle strategy. You can use the pillars for cover if you need to create some breathing room or use items, but it's best to keep your hand-to-hand combat to the center of the room if possible, in order to ensure that you have enough room to maneuver. 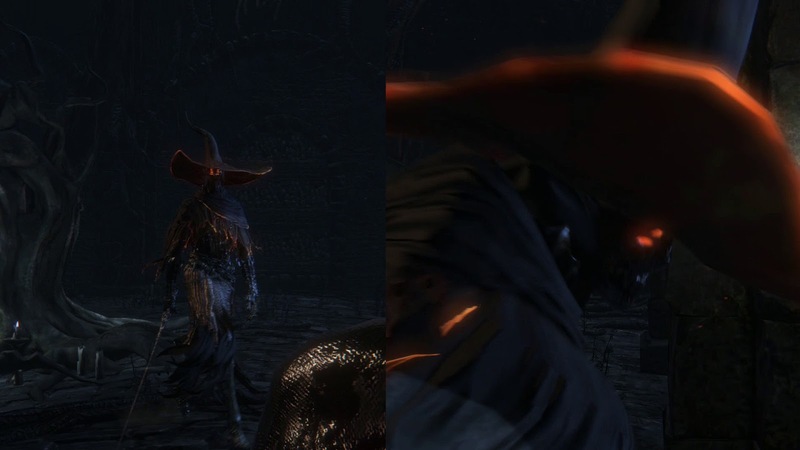 Strong enemy in preset dungeons: Lower Pthumerian Labyrinth, Cursed Pthumerian Defilement, Lower Loran and Isz Labyrinth. Defeating boss Keeper of the Old Lords will make the Bone Ash Set available at the Insight Bath Messengers. Flash Fire No Frontal short-range burst of fire with a small spherical area-of-effect; quickstep forward past it. Flamethrower No Two consecutive mid-range bursts of flame in frontal cone-shaped arcs; quickstep backward at mid range or forward past them if close. Heat Wave Yes Strikes a wide circular radius with flame; quickstep backward once or twice. Phase 1 Strategy: Interrupt the Keeper's melee swings and use visceral attacks, or augment your weapon with arcane or fire damage and attack with transformed R1 combos You can avoid all of its attacks by quickstepping forward past or through them, which will place you behind the Keeper and give you a brief opportunity to counterattack; if you're having trouble hitting it, try locking off and rolling behind it, as doing so gives you more control and positions you closer to it after your dodge. Avoid using non-transformed light attacks, as they won't stun the Keeper long enough for you to get out of the way before it recovers; heavy R1 or L2 swings from large weapons will inflict a strong enough stumble effect to prevent it from immediately counterattacking, but most transformation attacks are too slow to be of any use and will only leave you vulnerable for extended periods of time. Fire Slash Yes Up to five sword swings that create narrow forward bursts of flame; quickstep forward past them if close or sideways if at mid-range. Phase 2 Strategy: When the Keeper's health falls below 70% it will cover its sword in flames, increasing its attack power and causing all of its melee attacks to throw waves of fire. You can still interrupt its sword swings during this phase, but doing so requires you to position yourself beyond their range before shooting it, and leaves you with very little time to reach it before it recovers from staggering and stands up. If using melee weapons exclusively, you'll need to keep the fight to the center of the room and continue to quickstep or roll forward past the Keeper's attacks before striking with heavy R1 swings; it will retreat as soon as it recovers, so you'll need to be quick in order to hit it before it escapes. Backing the Keeper against a pillar or into a corner will make it harder for you to evade its attacks, but also helps prevent it from evading yours; you can also power up your Rosmarinus with Bone Marrow Ash and lure the boss through one of the narrow spaces behind the pillars, then quickstep forward through one of its attacks and blast it with sacred mist while it's unable to escape.